I always find lunch the toughest meal to prepare. The kids are hungry and I don’t feel like cooking. 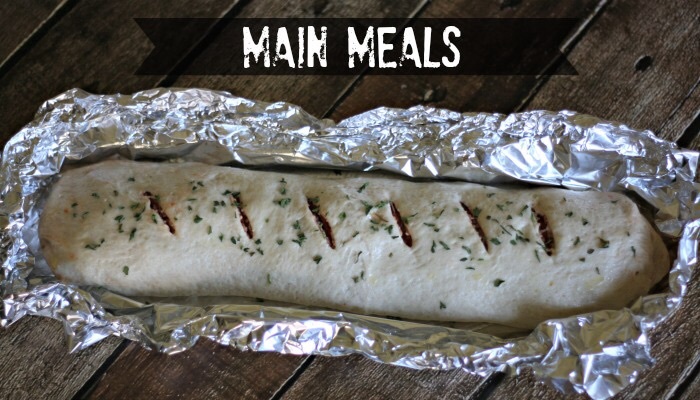 On my next trip I am going to try this make ahead pizza log and see how it works out. I plan to make this for lunch so I will take it out of the freezer the night before so it is thawed in time. Roll out your pizza dough into a rectangle. You can make your own or use the refrigerated pizza dough. any toppings your family likes. Starting at one end roll the dough up like you are making cinnamon rolls and pinch all ends to create a seamless log of pizza goodness. Optional: throw a little parsley on the top for a pop of color! Wrap it in foil and freeze it. You can cook it on a grill or just put it in the logs for a total of 25 minutes, flipping often. Once it is done, cut or pull it apart and serve. ← Today’s Weather Report, Infact the Entire Week Looks Good! Very true. We often take the second choice and leave the kids back eat the camp food. I was hoping to try it on my last camping trip but didn’t get around to it. Maybe on the next one but it sure looks good.